During the years, the Association has published guidelines that support fashion institutions in handling different issues related to the exploitation of digital content online. Below you can download a selection of these documents. These guidelines have been designed principally to address the challenges facing cultural institutions when managing rights in fashion content. However, they also provide a good pragmatic approach to managing rights more generally. While these guidelines do not constitute legal advice, we hope they will reassure readers that by combining a little bit of law, logic and experience, they are on their way to getting it right! 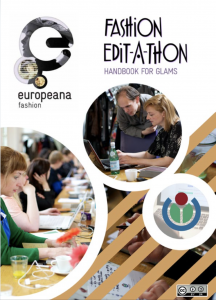 In this handbook, any GLAM (Gallery, Library, Archive, Museum) can find all the basics to organise an edit-a-thon, including an overview of Wikimedia, Wikipedia and Wikimedians, ways to ensure a successful event, how to measure success, tips for getting content on Wikimedia, event promotion, as well as a suggested day programme, a 3-month preparation agenda, and an abundance of relevant links. 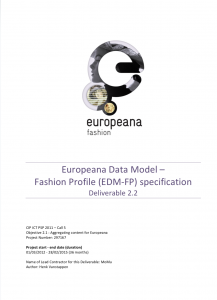 This document gives a detailed description of the data model used for the Europeana Fashion aggregator, EDM-FP (Europeana Data Model - Fashion Profile). 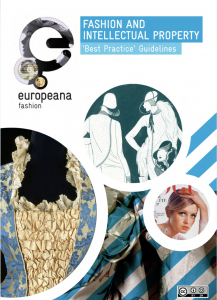 The EDM-FP builds on EDM and other existing standards to support the documentation of fashion related content, as it will be submitted to the Europeana Fashion aggregator. This model also mediates between the data provided by the Europeana Fashion content partners and Europeana.